Active Archives places an onus on the gathering, organization and dissemination of historical material – the active part of the archiving process. In many respects, this approach encourages individuals/communities to set their own terms and circumvent institutional Copyright and Intellectual Property enclosures. In addition, the aim is to reinforce a ‘living’ relation between the present and past and harness a cross generational exchange based on mutual support and self-representation. The model has been in development at Central Saint Martins College in London (CSM) for a number of years and most recently, supported the formation of an Experimental Teaching Unit (ETU). In brief, the ETU encourages educationalists and others to present and commit their archives and/or related material for study and use by staff, students and workers at the host institution. 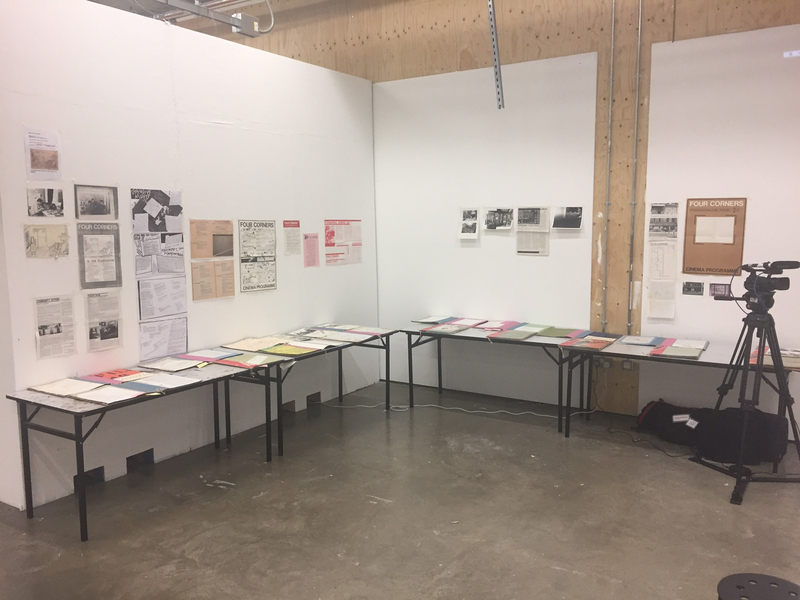 A recent example has been the deposit of a substantial archive linked to Four Corners in London consisting of 18 scrapbooks from the Children’s/Young Adults Workshop in the late 1970’s. 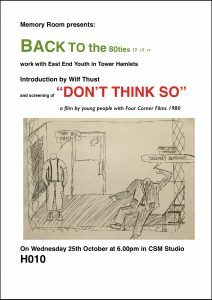 Event Poster for “Don’t Think So” (Four Corners Films 1980) at Central Saint Martins College, October 25th, 2018. 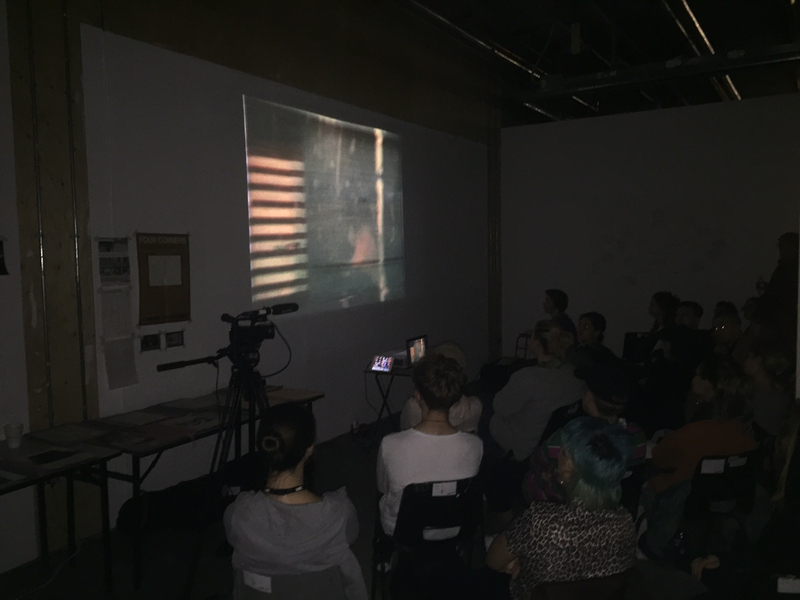 In October 2017, Wilf Thust, a founder member of Four Corners, premiered “Don’t Think So”, (Four Corner Films 1980) at CSM and discussed the relationship between technological developments in film production and informal community engagement in the 1970’s. 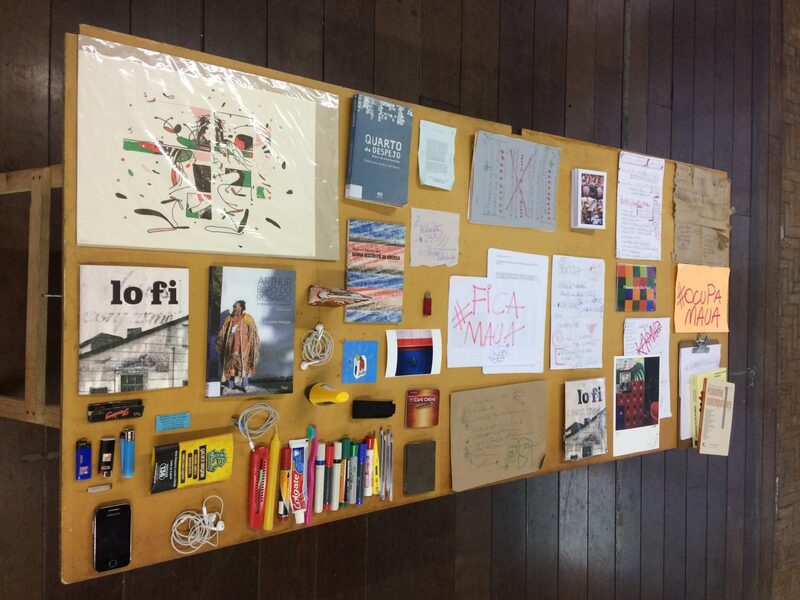 By way of introduction, he has also provided an account of his working methodology (in the form of a letter to the artist Lorraine Leeson) which we have included as our contribution to the Distributed Spaces that make up Reverso Mazi zone. 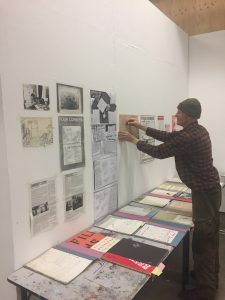 Installation of archival material for “Don’t Think So” event at Central Saint Martins College, October 25th, 2018.